It looked to be a straight-forward victory for the Spaniard as he surged into a two-set lead, but Murray is not a three-time Grand Slam champion for nothing and he supremely levelled the match despite hobbling around the court from the get-go. However, in the end his hip injury just took too much out of him, and Bautista Agut clinched a breath-taking 6-4, 6-4, 6-7 (5-7), 6-7 (4-7), 2-6 victory to reach the second round where he'll face Australia's John Millman. 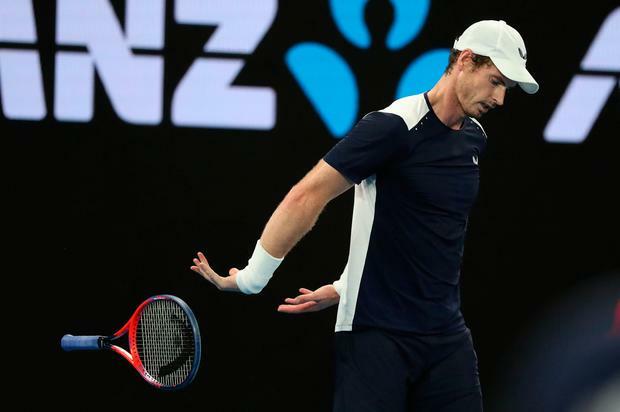 From the off, all eyes were on Murray's movement as he looked to cope the debilitating hip injury that is set to end his career at some point this year, but while at times the pain was obvious to see, he was still making a good fist of it. Yet the ability for Bautista Agut to pressure Murray and get him on the run made it comfortable for the Spaniard, and the world No 23 only needed one break point to seize the advantage and take the first set 6-4. The second set was much of the same, although the break came early and when Murray earned one of his own, the opportunity slipped. At 6-4, 6-4, the inevitable looked on the cards for Murray in what looked to be his final set. But a career built on resilience and grit was epitomised in an incredible third set, where having been broken early, Murray immediately broke back and took the set to a tiebreak where he clinched it 7-5 to the delight of the partisan crowd. Suddenly, the player who won back-to-back Olympic titles was in full flow, and while he was having to nurse his injured hip, he was very much in the ascendancy. This time, there would be no break of serve, but it was one-way traffic as Murray surged into a 6-1 lead before clinching the fourth-set tiebreak 7-4. But the impact of that exertion of energy took it's toll on Murray, and the fifth set saw the match flip on its head once more, with Bautista Agut reeling off consecutive breaks of serve to end Murray's challenge and, what would be no surprise, his career.